Leamington Spa, UK (KP) - In further evidence of the ongoing deterioration of our Sikh institutions, disturbing anti-Gurmat ideology of the newly formed management committee of Leamington & Warwick Gurdwara Sahib in UK has come to public light. In a letter obtained by Panthic.org, members of the Committee campaigning for the old Gurdwara Darbar Sahib building to be converted to a wedding party hall, have written to Man Jitt Weekly newspaper sharing their original thoughts about Gurdwara Maryada and respect of Sri Guru Granth Sahib Ji. In attempts to vilify the Sikh community who are striving to follow the Sikh faith and defend the Sikh religion from internal attacks, Mota Singh from Leamington Spa writes in favour of the Dudley Gurdwara Sahib for allowing meat and alcohol parties, despite the Dudley Gurdwara committee admitting in a signed statement that they had insulted Gurmat by allowing meat and alcohol parties in the Gurdwara owned community hall. We have several reports that allege the same Mota Singh, who is a local politician, has dined with and entertained Punjab Police officers Sumedh Saini and Parmraj Umranangal when they visited the UK. These two notorious police officials are well known for being responsible for the torture and murder of thousands of Sikhs in India. “Perhaps the animals in Dudley Zoo would not have done such a thing that was done by the people of progressive modern religion. Some people consider this a ‘rigtheous act’ and must be celebrating ‘victory’. Congratulations to their “wise minds”. Large animals eat smaller animals and yet Mota Singh claims animals are more civilised than Sikhs who defend their religious institutions from the clutches of corruption and sacrilege! May it be reminded that to save our Gurdwaras from the hands of the corrupt Mahants (caretakers) who were eating meat and drinking meat in the Sikh sacred institutions and used to have dancing girls entertain them, our forefathers went there, protested and sacrificed their lives in order to bring purity and sanctity in the Guru’s institutions. There are many examples like the Saka of Nankana Sahib, Panja Sahib and other many historical Gurdwaras. Nowadays, a new breed of communists and apostates disguised as Sikhs have become the Mahants of the modern age. The Panth needs the spirit of our forefathers to save our Gurdwaras from the destruction of Gurmat that is being carried out. The modern day Mahants are offering society a cheap cost venue to dance their daughters and sisters in front of drunk men to lured and dirty songs and eat meat, drink alcohol and smoke tobacco in the happiness of celebrating a birthday or wedding. It is an individual’s Karam and choice if they wish to feed off the corpses of dead animals, however for a ‘Sikh’ there is a clear guideline and Hukam from the Guru to live within an ethical and healthy way of life which includes no consumption of alcohol and foods harmful for the mind, spirit and body, i.e meat, eggs, fish etc. Where drinking and eating is a personal issue and no one interferes, it is unjustifiable to promote and accept social evils and activities that are contrary to the Guru’s Way in the name of Sikhi or in any property linked or associated to Sri Guru Granth Sahib Ji and the Saadh Sangat. Drinking alcohol is a poison for the body and mind. This is frequently echoed from health agencies, however it is a shame that Gurdwara committees are promoting alcohol which not only destroys one’s own health, spirit, and mind, it destroys families, communities, and relationships. The Gurdwara should be on the forefront of promoting healthy living and true humanitarian service for not only Sikhs but the wider community by promoting activities that benefit all. The biggest worry of actual Sikhs, who despite being labelled ‘Kattar-vaad’ have deep love for Guru and humanity, is that their fellow brothers and sisters born in Sikh families are becoming engulfed in alcoholism, alcohol related diseases and domestic problems related to alcohol abuse. Despite being labelled as hardliners and extremists, Sikhs will continue to promote the Guru’s message and continue to promote the true intoxicant of Naam and Bani. If one wishes to drink poison and ruin their life, then good luck to them, but why ruin other’s lives and families with the promotion of alcohol? It is sad where the British government is trying to curb the drinking of alcohol and binge drinking some of the so called Sikhs and Gurdwara leaders are opening and justifying Gurdwara halls for promoting this social ill. Where the government is discussing can be reduced by increasing the prices, some of the communist led Gurdwaras are thinking and discussing of ways how people can find cheap venues linked to Sri Guru Granth Sahib Ji to enjoy and abuse alcohol. The new Committee of Leamington & Warwick Gurdwara are now calling for a general meeting at the Gurdwara to override the decision of the Sangat passed twice before that the old Gurdwara building should be demolished and never used as a wedding or party hall. Although the new committee has made claims that no alcohol and meat will be allowed in the parties that are planned in the old Darbar Sahib once it is refurbished, Mota Singh’s article in Man Jitt Weekly suggests that the intentions are very sinister and that the group in control of the Gurdwara doesn’t see anything wrong in defying Sri Akal Takht Sahib and Gur Maryada by allowing dancing, anti-Gurmat music, and the serving meat, alcohol and tobacco in community centres that have been made through the Gurdwara. Waheguru JI Ka Khalsa Waheguru JI Ke Phateh. Firstly It makes me proud to see how many youth are leading their lives in the right way of the Gurmukh. True Saint and Soldier of Guru Gobind Singh JI. So well done to you all for your hard work and continious hard work being done in Leamington. I spoke to my dad Sarup Singh for those who do not know. He is also very proud of the way you guys are handling everything to do with The Gurudwara Sahib and we as a family are all behind you all. May Waheguru Bless you all. We say NO to the community hall on the Gurudwara Sahib site. 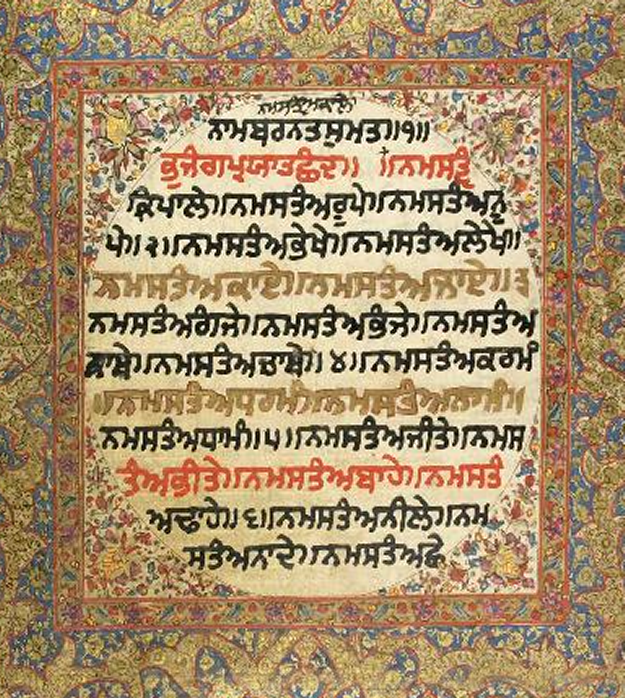 What we are lacking is the REAL LEADERS followers of GURUGRANTHSAHIB! From Ages PANTH/SIKHS have been twisted/decimated by MEAT issue by anti-panthic parties. What have we learned from HISTORY ? From ages Sikhs have been put to GENOCIDE, what have be learned from HISTORY ? From last one century, SIKHS have been MISLEAD by so-called leaders, what have be learned from HISTORY ? Remove DONATIONS and MAYA BOX from GURUDWARA, remove POSTS in GURUDWARA's and then see/check results (MAKE EVERYONE SEWAK of GuruGranthSahib)! All these so-called leaders shall vanish in thin-air!